I don’t think I realized there was a National Puppy Day. Or if I did, I had put it out of my mind, because I am currently canine-less. 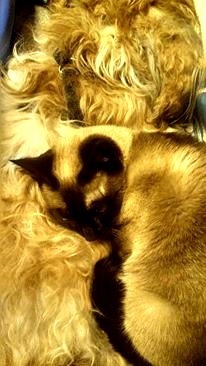 *sniffles* The closest I have right now is a cat who used to think she was a dog back when I still had a dog. She would always follow him around, curl up with him, and even play fetch with him. Here are a couple of my favorite pictures. Sorry about the crappy lighting. It’s an old picture taken with my old phone. 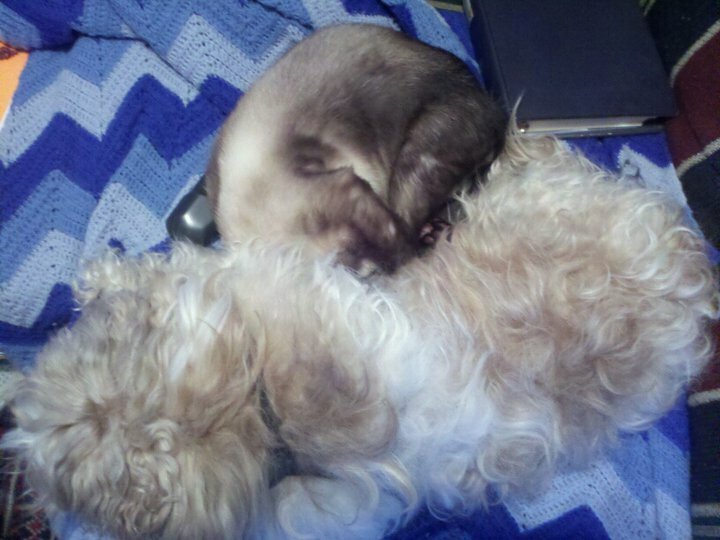 But anyway, Fiona is the Siamese cat and Julio is the brown and white shih-tzu in desperate need of a hair cut. He always hated having his hair cut. But he was great with her. In fact, the day I brought her home as a poor abandoned kitten, he came right up to her and started sniffing her. I was telling him how she was going to be his new sister, and he started licking the top of her head. Then BAM! He smacked her on top of the head. I guess the big brother was just letting the baby know that he had been there first. 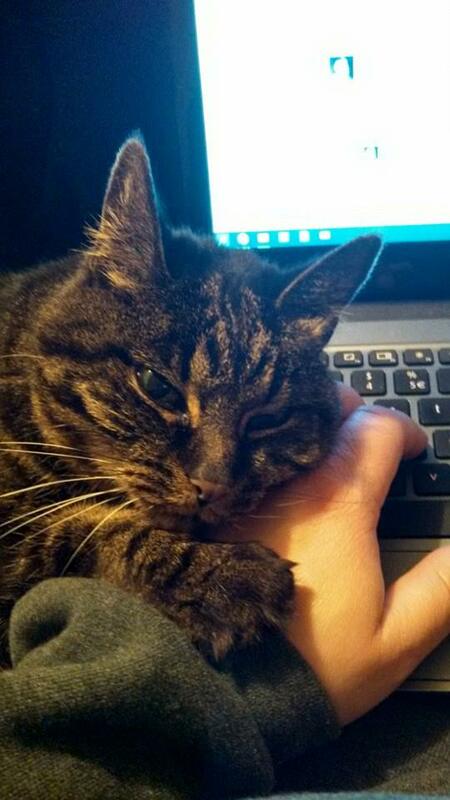 Plus, he was always getting crap from the older sister, my other cat Cassie. Sorry, couldn’t leave her out. This is one of my favorite pictures of her. But, this is supposed to be National Puppy Day and not National Cat Day. I digress. Julio really was the sweetest puppy I could have ever wanted. Even as he grew older, he still remained what I like to call a perma-puppy, always playful and snuggly, especially after getting a haircut. He was just so damn cute! As you know, dogs give unconditional love, so we were very dependent on each other. Nothing turned a day around more than getting a lick on the face from this darling. My sister had his brother. 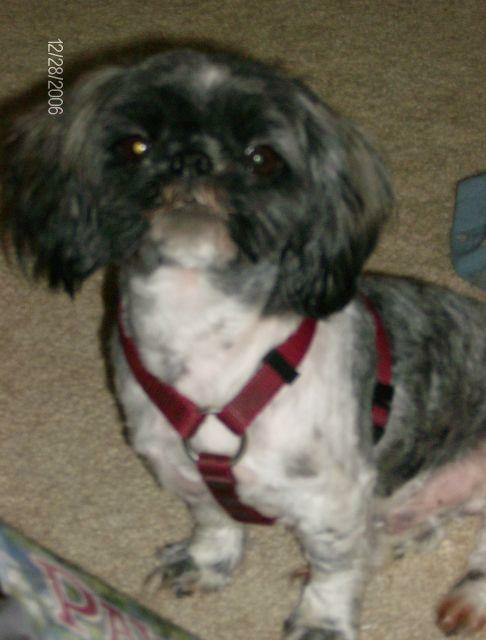 After we moved in together, she wanted to get a shih-tzu and found a local breeder. The woman was getting out of the business and had two darlings left. My sister didn’t know which one to choose, so we ended up adopting them both, which was fine by me! They were the best of friends and double-trouble, totally legendary in our neighborhood. They would chase and play all day long, protected us and our turf, and charmed everyone who came over to see them. I was heartbroken when my sister moved and took Jefferson with her. I think the dogs were also heartbroken. In fact, Julio used to mope a lot around the house until Fiona came along. Julio and I were rarely separated. In fact, I usually planned vacations around places where I knew I could take him. 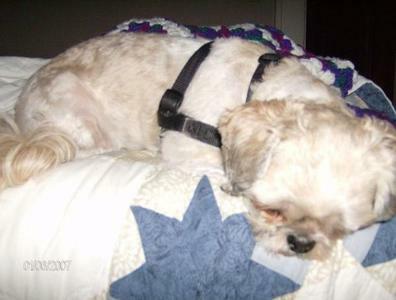 I am not a fan of kennels and it was often hard to find someone to be willing to come over to take care of him. In fact, I only had one long trip that was over a week where he didn’t come with me, but he stayed with one of my best friends. I knew he was absolutely fine. Then, a couple of years ago, he got very sick and very rapidly. I had to go to the emergency vet in the middle of the night on a Sunday at the beginning of the school year. Alas, there was nothing they could do for him, so I had to put down my baby. I don’t know if you have ever had to go through something like that, but it is horrible. 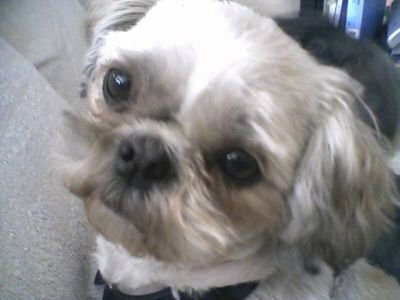 The worst was when I was bawling and apologizing to him and saying goodbye, and he just kept licking my tears away. It was truly as difficult as being there with my father when he passed away. 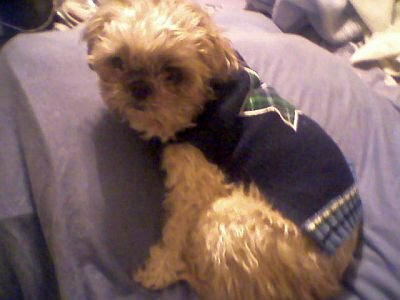 I just kept telling myself that Dad would be there to greet him, as would my other dog, Snowball, who had died a few years before at the ripe old age of 16 (pictured below). Julio was 12. I haven’t had another dog since Julio. 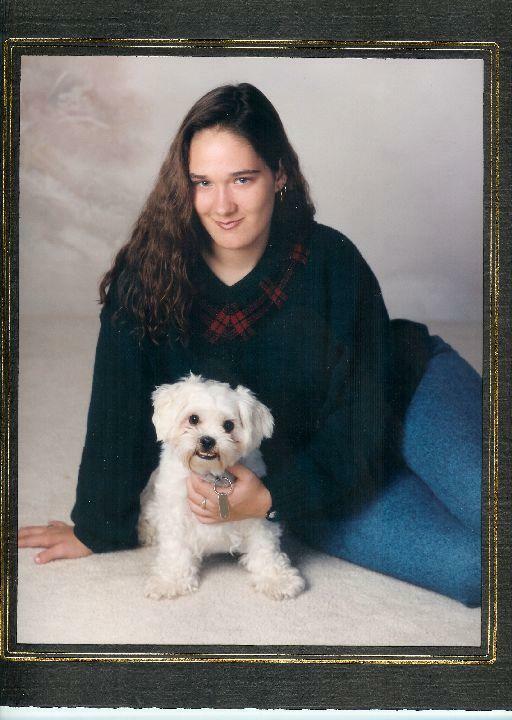 It’s the longest stretch in my life without a dog, as I had one from about the seventh grade on. I visit the shelters on occasion, but just haven’t yet connected with another dog. Then there’s also the fact that Cassie is now 18 years old and wouldn’t likely do well with another animal coming into the mix at this point. I don’t want to shock the poor girl over the Rainbow Bridge any earlier than I have to. Some day, I will have another puppy, whether that puppy is truly a baby or a big, older one. Until then, I do still mourn my beloved Julio. I wish he were still here with me, but I know that isn’t possible. Instead, he lives on in my heart and my memories. I just borrow my friends’ dogs on occasion when I need some canine loving, or need to live vicariously through them for days like National Puppy Day. Tell me about your precious babies for National Puppy Day! I would love to see them!